"The genesis of Giving Context, a collaboration between painter Steve Driscoll and photographer Finn O’Hara, is a great example of the magic that can happen when two inventive minds merge." 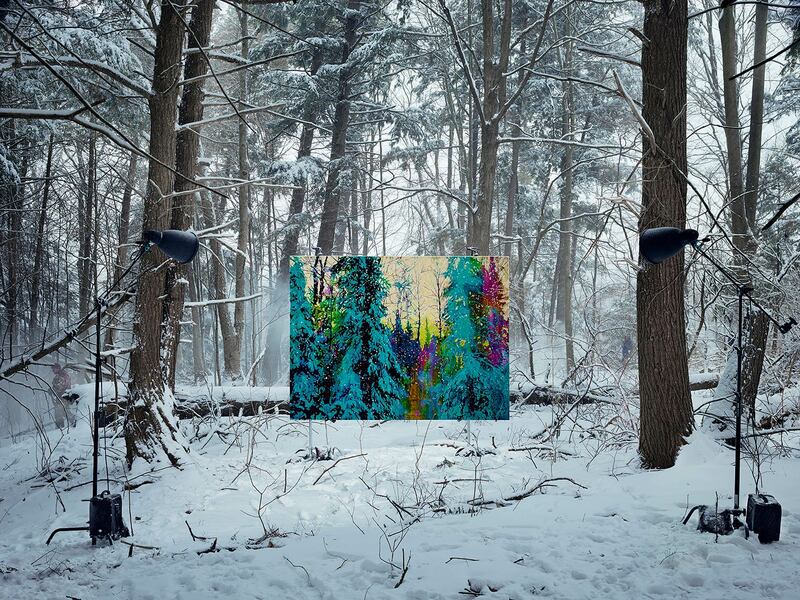 "Taking a painting such as the luminous fall scene, Golden Rule, out of the studio or gallery and putting it on a stand in the middle of an urban trail is a theatrical gesture bound to provoke questions. Why is it there? Does it represent the “before” of this early winter landscape? What sort of encounter will the approaching jogger have with this strange intruder on his daily routine?"